Security Door Installation Port Elliot. The team at Max Security specialise in all security door installation Port Elliot. For all of your questions or concerns to do with Security Door. Call the team at Max Security Doors & Screens today. Our team will be able to help you out with your every need. If your security door or screen is in need of replacing or updating. Or you want safety for your family night and day. You can’t go past our Security Door Installation Port Elliot. We are your local experts based out of Seaford. Here at Max Security Doors & Screens we are the specialists in all things security door installation Port Elliot and surrounding suburbs. We even have one of the largest showrooms and warehouses in South Australia. Our showroom includes all stock and Crimsafe products. We have an extensive range of Crimsafe products as well as security screens and doors that will leave your home as safe as it possibly can be. For all of our services both on security windows and security door installation please call us today. Security Door Installation Port Elliot. Max Security Are Your Local Specialists In All Things Security Doors. 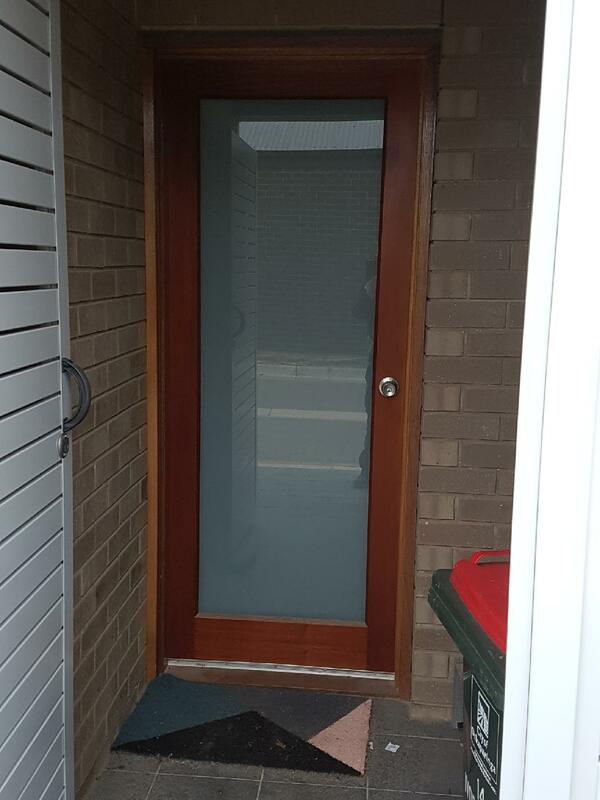 We have just recently completed a fully custom Security Door Installation Port Elliot. The photos below show the completed job for a holiday home in Port Elliot. This particular job is a Standard Crimsafe security door black on a red door jamb.